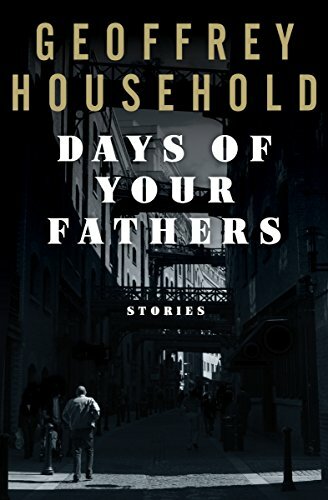 "Seven Fiancees," by David Housewright, in Blood Work: Remembering Gary Shulze Once Upon A Crime, edited by Rick Ollerman, Down and Out Books, 2018. Ah, a private eye story. Pretty charming one, too. Looking back, I probably should have let the woman shoot the tuba player, because God knows, he had it coming. Nice opening sentence, that. P.I. Holland Taylor is in a jazz club when a young woman named Virginia tries to shoot the tubaist. Taylor prevents that. Seems tuba guy is her fiance. Seems she just found out he is also engaged to six other women. Virginia's lawyer hires Taylor to contact the six other ladies, looking for mitigating circumstances that may help reduce his client's sentence. (Seems pretty damned mitigated to me already.) Taylor meets them, each a different personality with a different reaction to the discovery of their true love's philandering. There is a climax of sorts, but as is so often true in life, the true joy is in the journey. 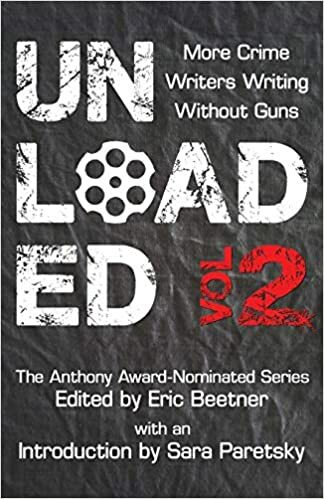 "Character is Everything," by Jon McGoran, in Unloaded Volume 2, edited by Eric Beeetner and A.Y. Aymar, Down and Out Books, 2018. And today we are in science fiction territory. At least, I hope it remains SF for a few more years. Roscoe Boyer is an endangered species. He is the last employed writer in the world. Roscoe had started out writing honest-to-God books, but he'd changed with the times -- video games, social media micro shorts, story interactives. Finally this. This is creating character outlines for robots. And now Roscoe is being fired from even that job. Ah, but Roscoe has a trick up the old sleeve... A clever story. "Pan Paniscus," by James W. Ziskin, in Unloaded Volume 2, edited by Eric Beetner and A.Y. Aymar, Down and Out Books, 2018. The adolescent bonobo named Bingo escaped from the zoo in the early hours of an October morning. Animal lovers may be glad to know that Bingo is not a crime victim. Human beings are not so lucky. Bingo is spotted on the property of Mitch and Fiona Hirsch. Mitch is a bleeding heart liberal who annoys his law firm by working on pro bono cases. His wife Fiona is the daughter of wealth and doesn't seem to do much except drink her way through book club meetings. And then there is Evelio, their gardener. He is, not surprisingly, illegal. 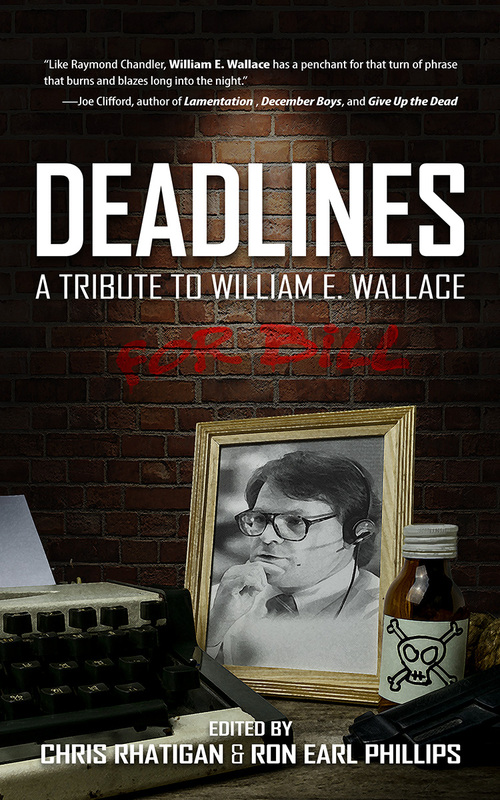 "Plan Z," by Travis Richardson, in Deadlines: A Tribute to William E. Wallace, edited by Chris Rhatigan and Ron Earl Phillips, Shotgun Honey, 2018. This is the second appearance here by Richardson. Sometimes it is 10% tale and 90% telling. This is a simple story of three guys who "decide to up their game from B&E and liquor stores." We don't learn much more about Ted, Greg, and Hector than what position they used to play back in Little League. So this piece is not big on plot or character development. What it does have is a wonderful way of unwrapping the adventures of our unlucky trio. You see, Plan A is to rob a cash-checking joint. They throw that over for Plan B which is an armored car that Greg's Uncle Arnie drives. Sorry this is late; I have been on vacation. That might also explain why I did not read any new stories this week I liked enough to review. As I have done before when this happened I am going to review a classic story, one of my favorites. This is a spy story and a great suspense tale. The nameless protagonist is a spy in a hostile country, also unnamed. It is implied that she is working for a Western democracy. And she is in big trouble. She has just posted an incriminating report when she realizes the police are watching her. At any moment they will scoop her up. torture her, interrogate her, and kill her. But there is one fragile reed she can cling to. If the bad guys don't think she has seen them, they will keep following her, hoping she will lead to useful information. "Strangers on the Run," by Sarah M. Chen, in Deadlines: A Tribute to William E. Wallace, edited by Chris Rhatigan and Ron Earl Phillips, Shotgun Honey, 2018. This is the second appearance in this space by Chen. Imagine being an illegal immigrant in this country. Now imagine you have murdered your sister's abusive husband. Now imagine that said husband was a gangleader, so now both cops and mobsters are chasing you and your sister. Sounds like enough trouble for one man to bear? And you think you've had a bad year... A very moving and suspenseful tale. "Top Ten Vacation Selfies of Youtube Stars," by Preston Lang, in Deadlines: A Tribute to William E. Wallace, edited by Chris Rhatigan and Ron Earl Phillips, Shotgun Honey, 2018. To the best of my knowledge I have never read any work by the late William E. Wallace, reporter and mystery writer. But I have read enough of this book to get some sense of what his writing may have been like. Pretty noir stuff. He gets a call from somebody named Brack who used to be a hitman. Would he like to meet and talk about Brack's illustrious career?